There is no substitute for quality and service. Since it’s humble beginning in 1992, Turbofix has had a history of success and has continued to grow as the largest turbocharger company in Africa. This success is a testimony of customer satisfaction Turbofix ensures. Service exchange units of the most popular makes and models of turbochargers are kept in stock. All Turbofix service exchange units are remanufactured strictly in accordance with manufacturer specifications. In order to ensure a high standard of quality is maintained, all turbochargers are thoroughly inspected by our dedicated final quality control department, before being dispatched. The use of imported machinery of the highest standards enable Turbofix to further ensure their clients are provided with the best possible quality of products and service. Our staff training and development programmes ensure that practical training is geared towards specific industry and client needs. 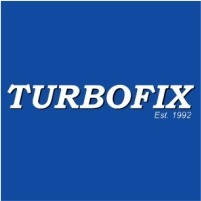 Turbofix acknowledges that 24 Years of success is only possible with the support of loyal clients. We hereby wish to express our gratitude by thanking you, and we look forward to many more prosperous years of business together.